Hey, kids! Join us for Kids' Night Out and spend an evening at the Wisconsin Humane Society Green Bay Campus. What better way to end the week than snacking on pizza, making friends with other animal lovers, and rubbing elbows with animal guests! 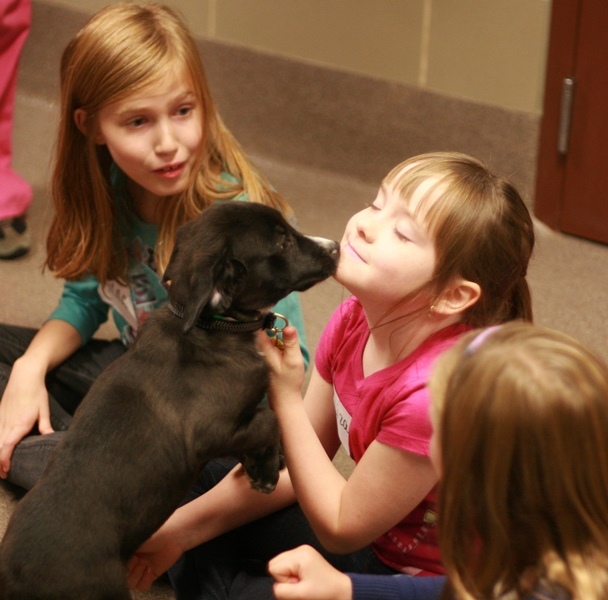 Kids' Night Out is for kids ages 6 to 12 and provides an opportunity for parents to enjoy an evening out while the kids have an awesome time at the Wisconsin Humane Society. Themes and crafts are always changing. Even if you've attended before, there will be something new to enjoy! The fee is $25.00 per child. This includes a pizza dinner, beverages, treats, and craft materials. Click on 'buy tickets' to sign up or contact kgut@wihumane.org for more information. CANCELLATIONS & REFUNDS: Registration fees are non-refundable. If you are unable to attend a program, you may offer your registration to another child who meets the program’s age criteria. Please contact the Youth Programs team to notify us immediately. We are unable to issue refunds if your child does not attend. The Wisconsin Humane Society reserves the right to cancel programs. We will try to reschedule a cancelled program. If we are unable to do so, or we are unable to accommodate your child in another program, you will receive a full refund of the registration fee.